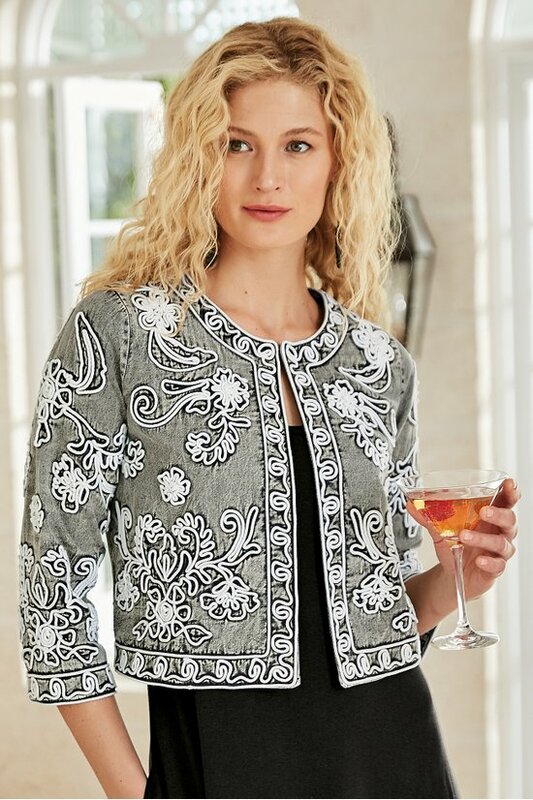 Add instant panache to an outfit with our specially-dyed bolero with stunning floral embroidery and soutache all over the front and 3/4 sleeves. Hook-and-eye closure, back waist darts for shaping, full lining. Misses 19" long. Machine Wash Cold With Similar Colors, Gentle Cycle, Only Non-chlorine Bleach When Needed, Hang To Dry, Cool Iron If Needed On Reverse, Do Not Iron Decoration, May Be Dry Cleaned.